Beijing Capital Airport is the largest airport in China. Beijing Capital Airport is 258 kilometers(15.5 miles) away from the city center, but Airport Highway, built in 1993, is 18.7 kilometers long (11.6 miles) with 6 traffic lanes and it is 34.5 meters wide. May be many foreign friends are not very familiar with Beijing. 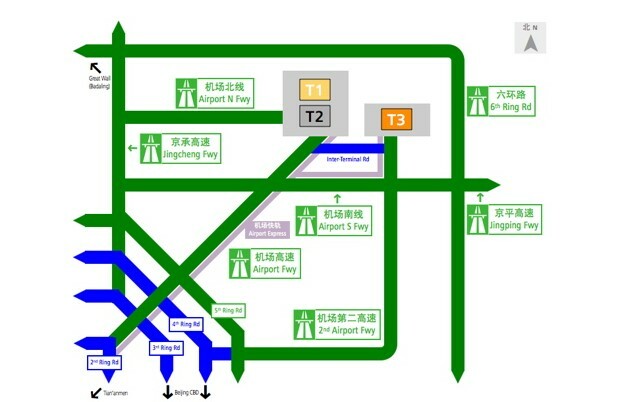 so this map will provide convenience for you to get Beijing Capital Airport.